Yay, I can finally find my keys! And last (but certainly not least!) 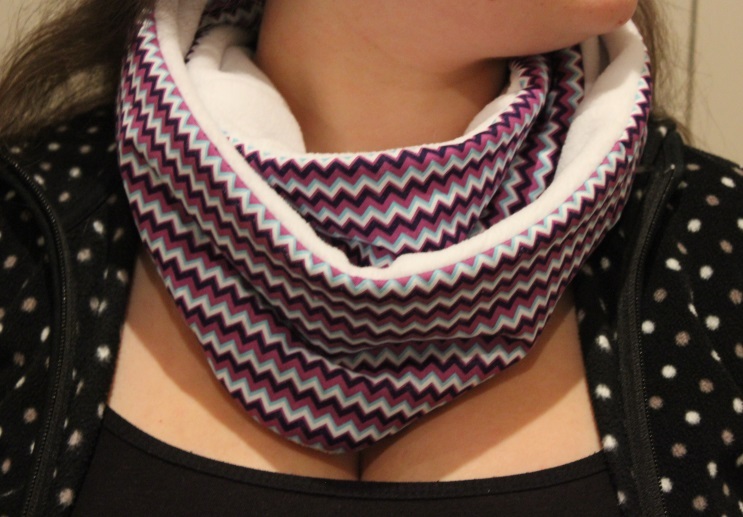 infinity scarf for my lovely friend Sabrina! 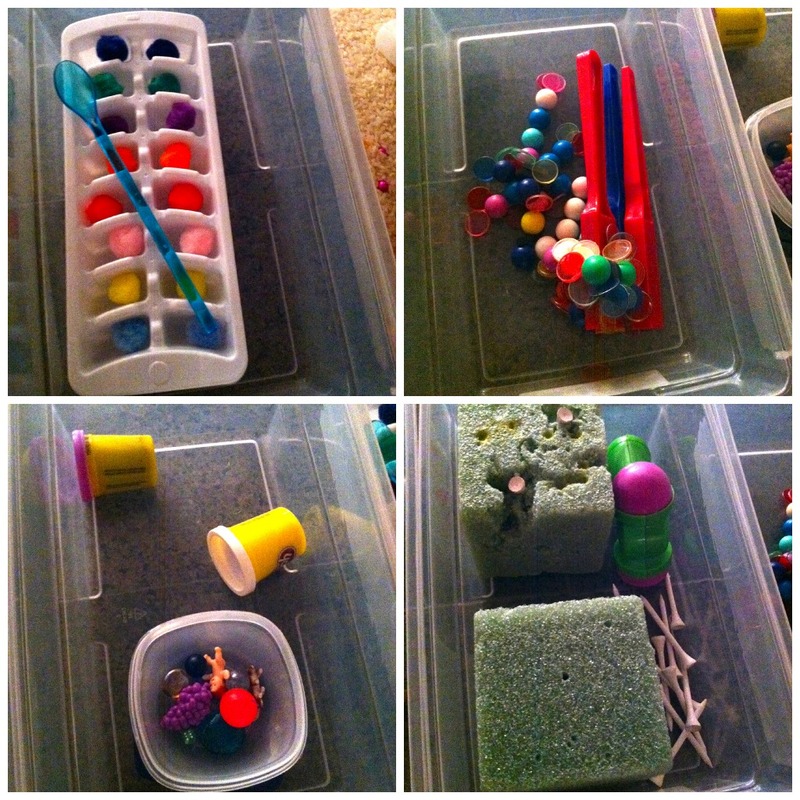 2 FREE activities you can create for your toddler! Who doesn't like a FREE activity?! And even better that is very easy and quick to organise. 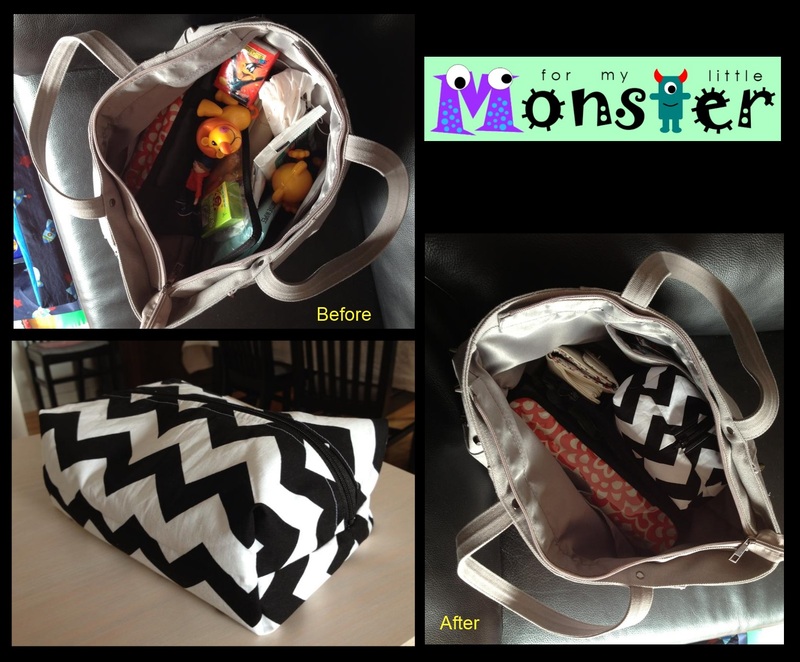 I got the idea for my activity from this one over at imagine our life. I love Stephanie's "colour tablets", but I didn't want to spend the money on all the materials she used, and I don't feel like I have the time to spend making them - even though they are super cool! 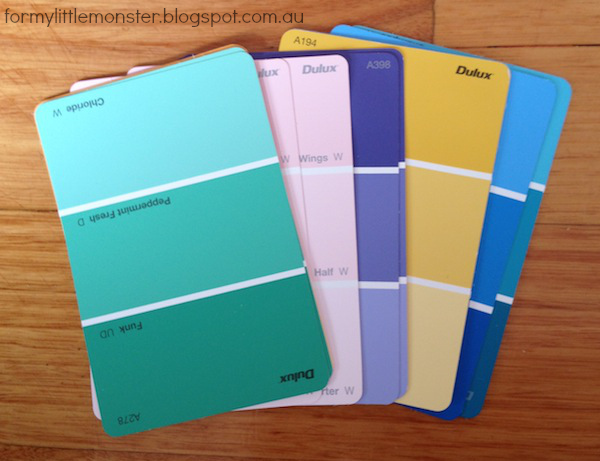 These are paint chips from our local Masters (a hardware chain store in Australia), the little monster and I collected them the other day. 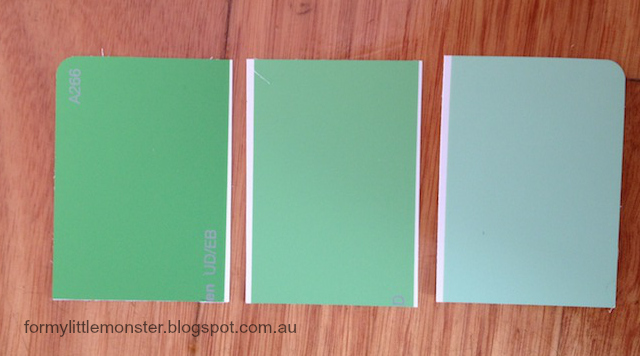 I made sure to collect 2 of each colour "paint chip" cards. The cards I chose were cardboard rather than wood, so make sure you choose the ones that suit your needs best. The cards can be ordered (as shown above) from light to dark or dark to light - this is activity 1. To store the cards, I had these two little boxes, and we keep one set of cards in each box, so it is easy to complete activity 1 or activity 2 at any time. 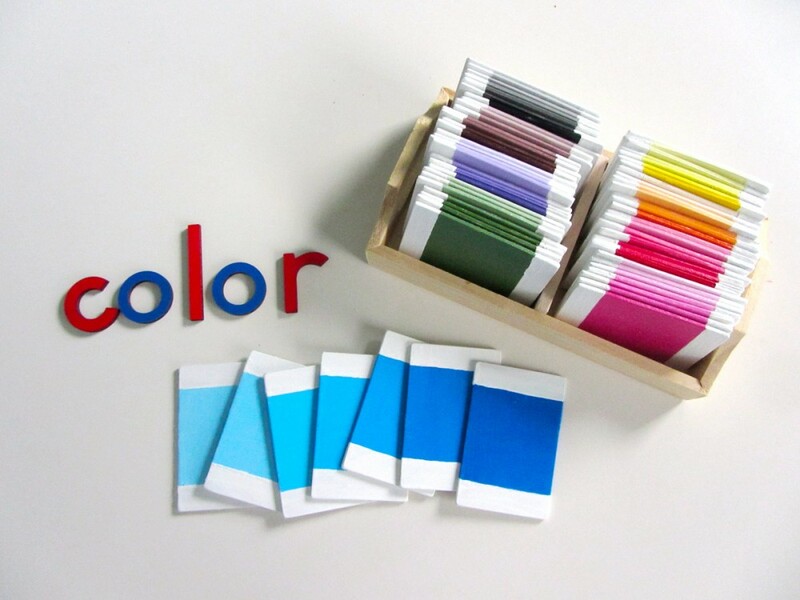 To help pack up, you might like to write a "1" or "2" on the back of the cards, so you can easily ensure you have an even number of cards in each set. C4AC - Have you met Suzanne? I thought it might be good to introduce the team of lovely ladies I'm collaborating with for C4AC (if you would like to know more about C4AC have a look here). 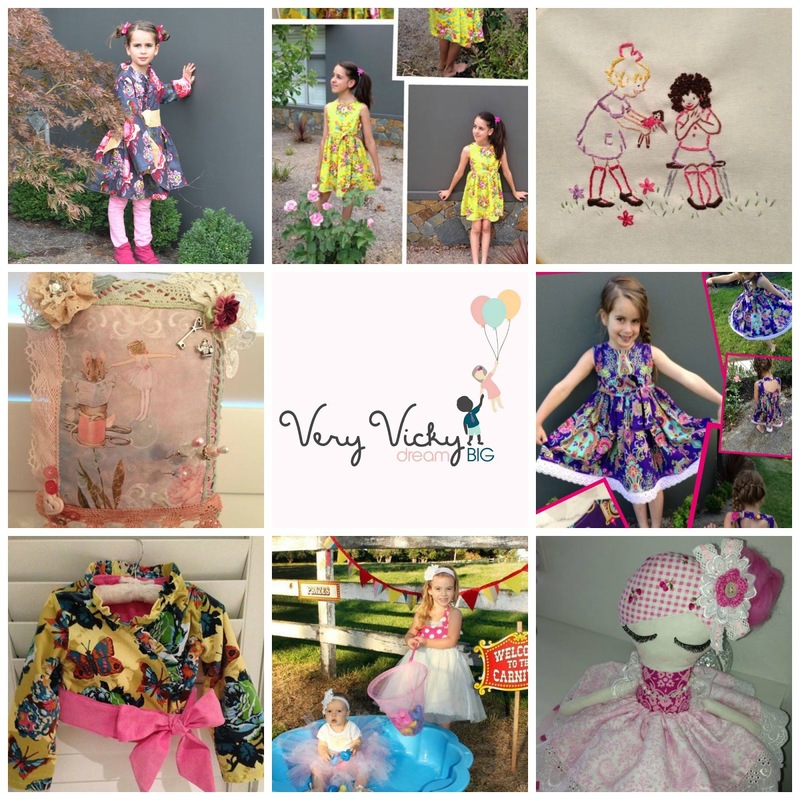 The first post introducing Vicky from Very Vicky - DreamBig can be found here. 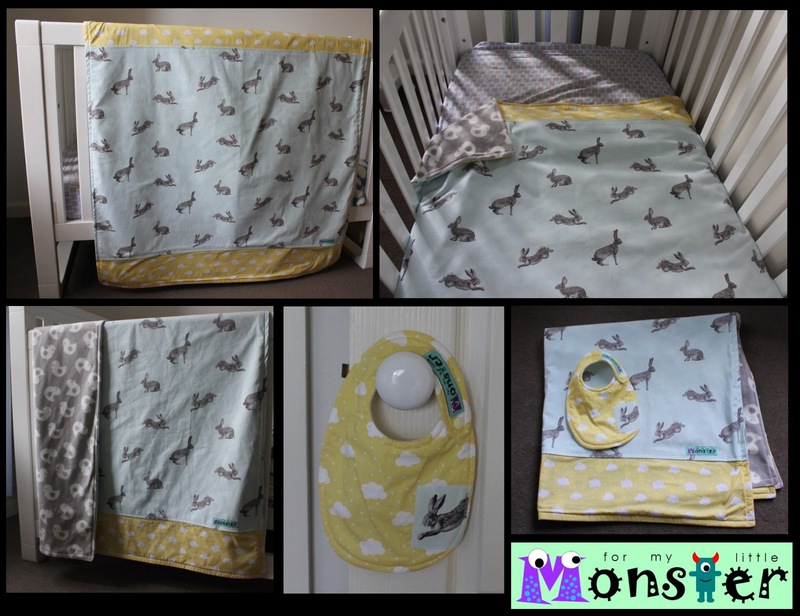 The second post introducing Jenica from The Pookie Patch - patchwork quilts and baby gifts can be found here. The third post introducing Kelly from My Two Moos can be found here. 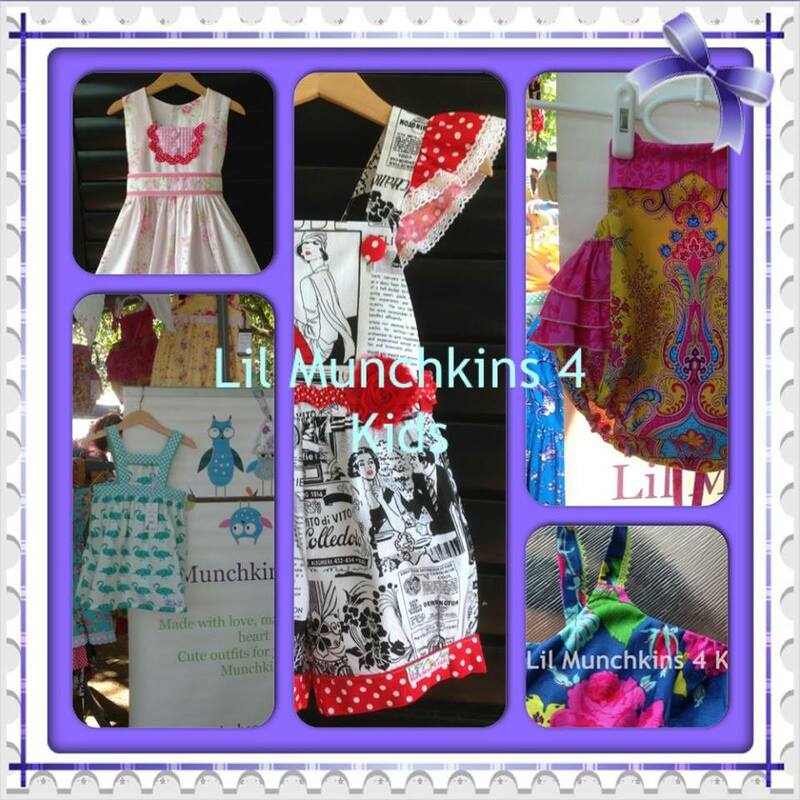 This is the fourth post introducing another of my team members...Suzanne from Lil Munchkins 4 kids. 3. Why have you chosen to support PANDA as your charity for C4AC? Having sewn all my life and now with a gorgeous Grand -daughter, who I love to spoil I decided to start Lil Munchkins 4 Kids . I have been going now 3 yrs and I just love it. I can go into my sewing cave and get lost amongst all the beautiful material to create something pretty. 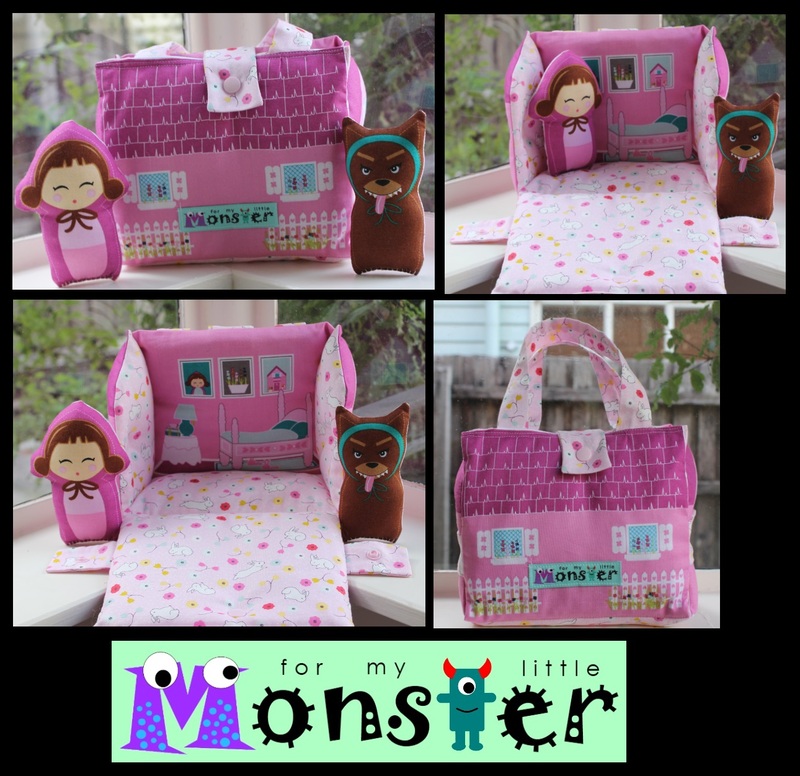 I make cute and unique OOAK clothing for children. I use only quality material sourced everywhere. So please come and have a look on my page. I choose PANDA as my charity as I believe there is little known about Post Natal Depression. There are many young mums out there who desperately need help but quite often have no idea why they are feeling the way they are. Keeping him busy for more than 30min! 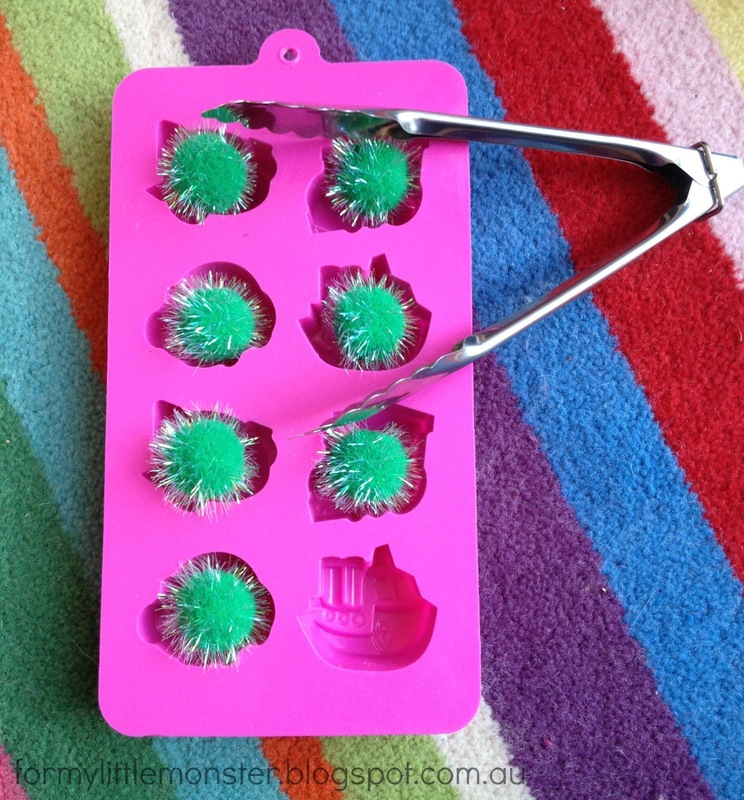 So today I decided to recreate this activity from The Activity Mom (labelled in the blog post as "transferring"). 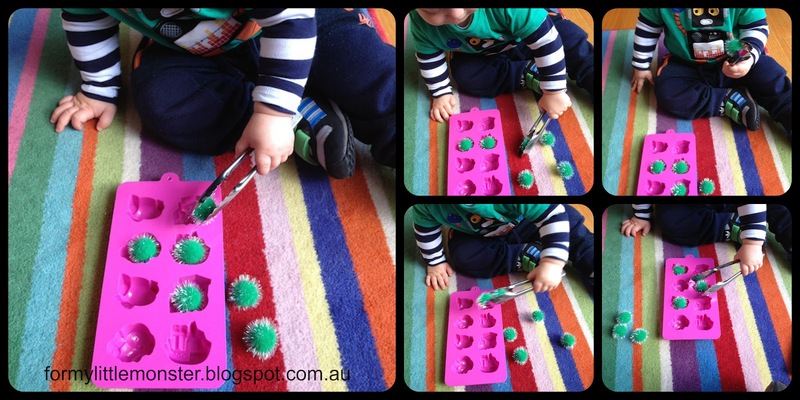 This activity develops hand eye coordination, and fine and gross motor development. 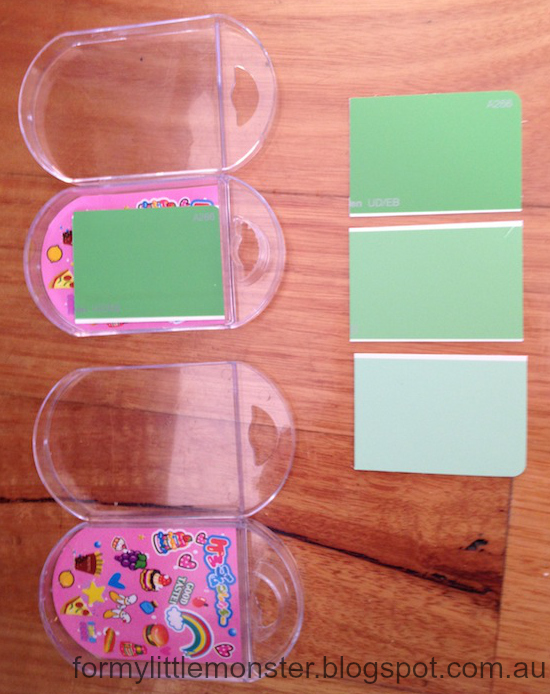 If you wanted to make the activity a little harder for your toddler, you could add in an element of colour sorting, like has been shown here (top, left hand photo - photo is by The Activity Mom). 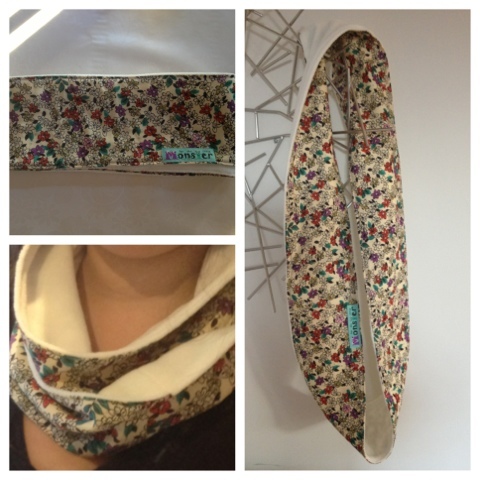 Another item from my fab less than $25 cheap shop spending spree used and enjoyed :) Yay! C4AC - Have you met Kelly? This is the third post introducing another of my team members...Kelly from My Two Moos. I'm Kelly from My Two Moos. I have 2 gorgeous girls 2 years and a 5 an half years old. I started My Two Moos up after watching the joy on my oldest face after making something for her and it has just grown from there. 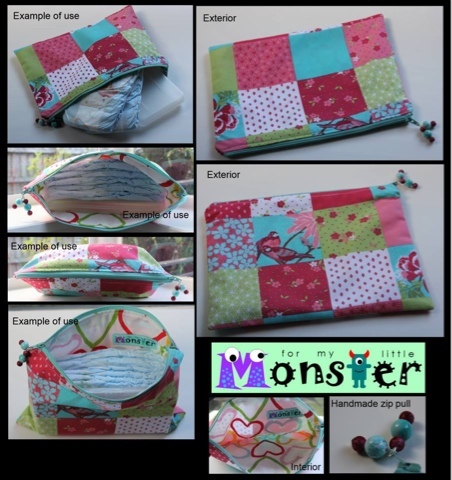 I'm currently making Dolls, Softies, Baby and kids blankets, toys and gifts. 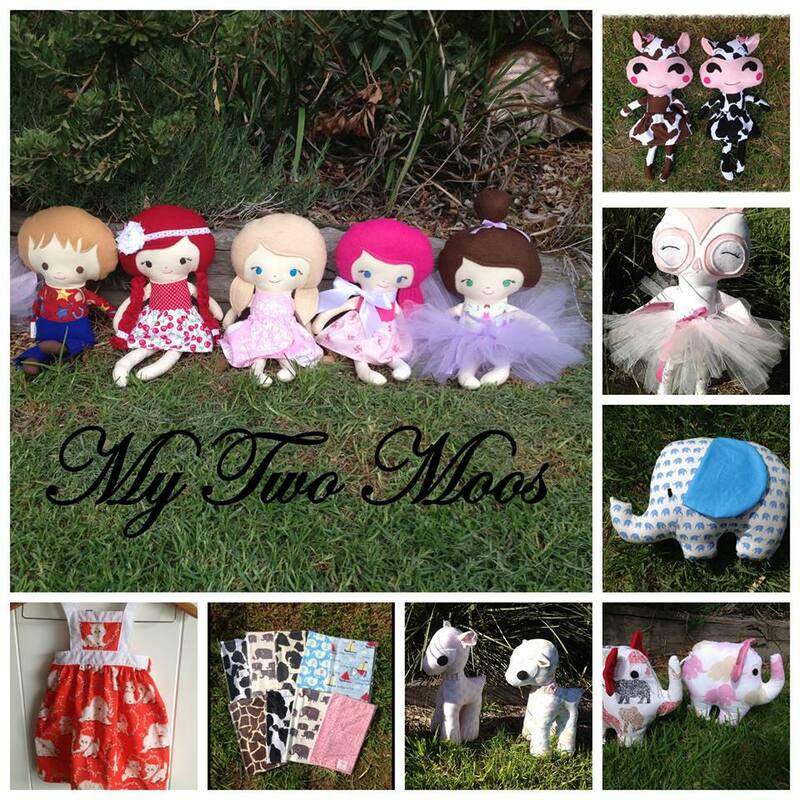 But in the next few weeks i am very excited as I will be adding new lines (even something for us mummy's) to My Two Moos so would love everyone to come over and check it all out. I wanted to help support PANDA with this collaboration as depression is a very real issue and would love to raise more awareness for the mums and family's that need support. Having a baby is such a magical time and we as mothers put a lot of pressure on ourselves and when things don't go exactly the way we would have liked we tend to beat ourselves up and not seek the help we need. So I'm hoping with this collaboration we can help put the word out there about PANDA and take away the stigma about seeking help for depression. Keep an eye out for the next C4AC post...I'll be introducing you to another team member! Hours of entertainment for less than $25! My little monster is almost 22 months now and he absolutely loves doing new and exciting activities. I've been feeling like he's ready to start learning new things rather than just playing most of the time. So off I went to visit The Activity Mom, and I had a browse through the activities for 1 and 2 year olds. There are some great ideas on this sight, and after just a quick look through (I'll definitely have to go back for a closer look as there are so many wonderful ideas on this site), off the little monster and I went to gather supplies from our local cheap shop. Ok, here is the 1st quick and extremely easy activity I'm going to share - Make Your Own Peg Matching Game. Using your colour coordinating permanent markers draw circles (and fill them in) around the top edge of the box. Make sure you evenly space the circles, so that the pegs fit comfortably. Ask your little monster to match up the coloured pegs with the circles you have drawn on your box. And when your finished playing the game, it is extremely easy to pack up too...just place the pegs inside the box and put the lid on box. C4AC - Have you met Jenica? 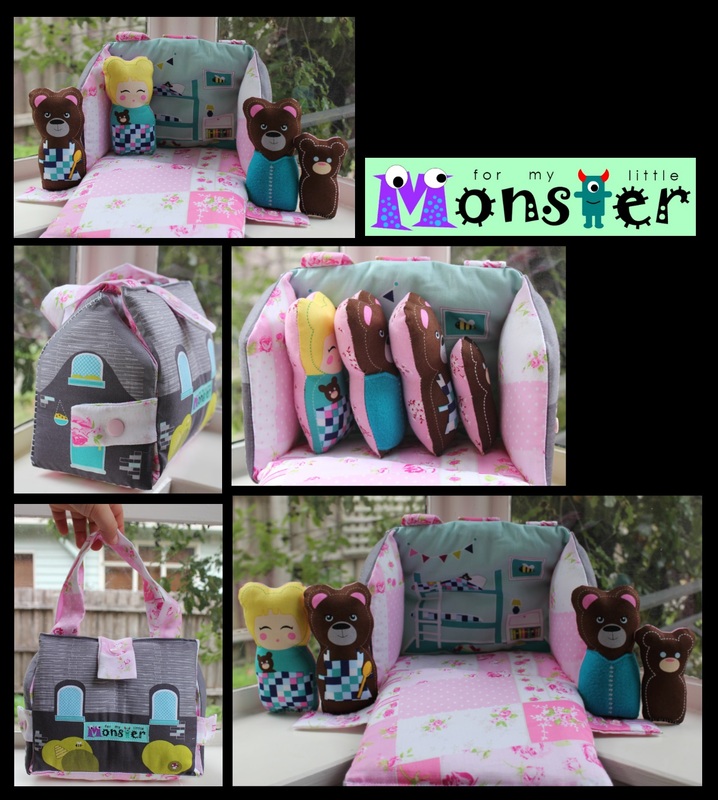 This is the second post introducing another of my team members...Jenica from The Pookie Patch - patchwork quilts and baby gifts. 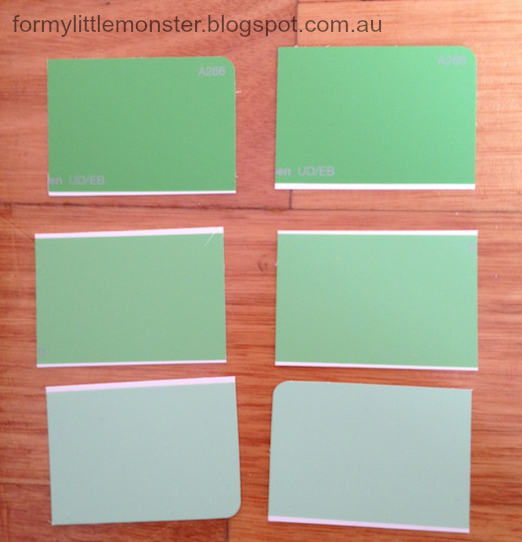 Who are you - I'm Jenica, a Can-Aussie mum of one toddler, known as Pookie. I split my time between Ontario, Canada and Queensland, Australia. I've been sewing since I was about 3 years old, but have only really gotten into it and loving it in the past few years. I love making clothes for my son and for his friends, but I fell in love with patchwork quilts last year when I made a rag quilt for him for Christmas. Most of my free time (what little I have!) is spent sewing. We are finally living in a house that has some extra room, so I have a sewing room for the first time - but prior to this I've had sewing spaces in the kitchen, garage, outdoors, on the floor, at a friend's place, in our bedroom and on my son's change table. My business is "The Pookie Patch." I'm just starting up, with C4AC being my first big project. 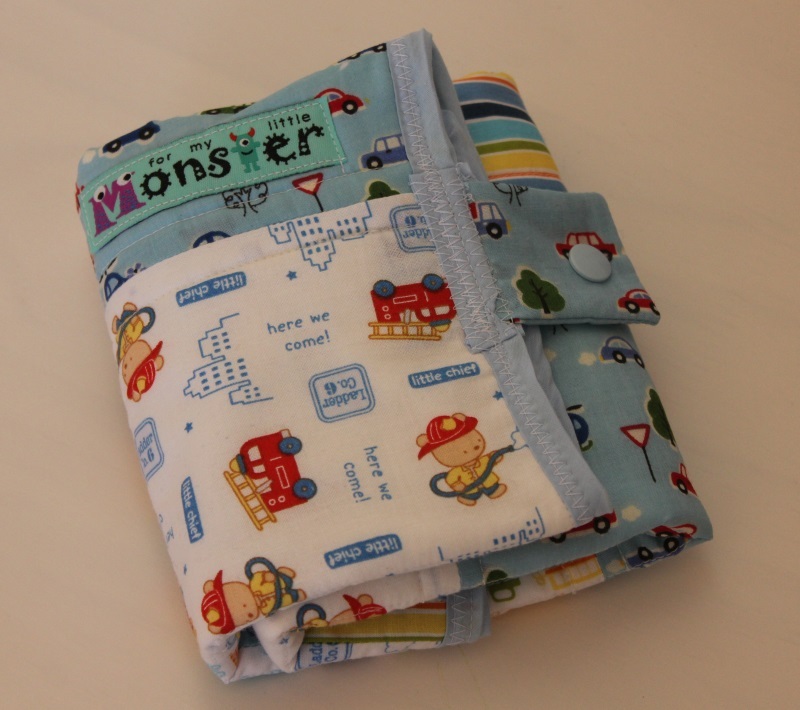 So far I've done patchwork quilts, but hope to expand into other patchwork items and baby gifts. 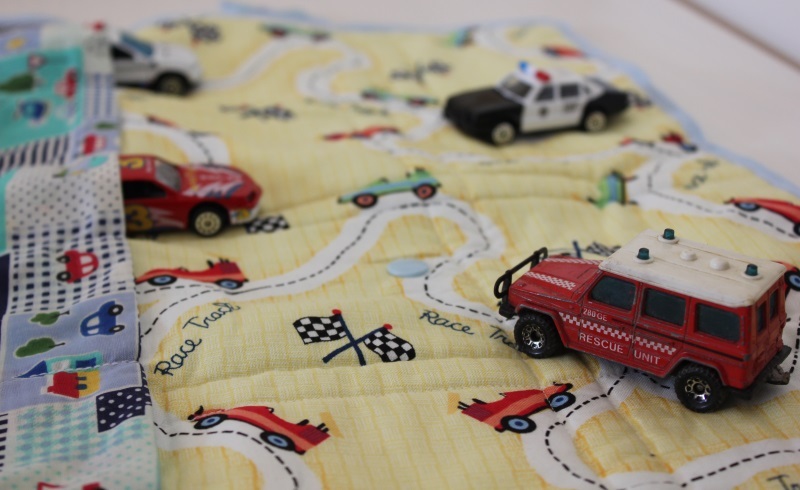 My first patchwork quilts were primarily flannel, but more recent ones are quilting cotton. Sometime in August I'll be hosting a "pagewarming party" market night with the theme Pinwheels and Playtime, and I can't wait to have a great night with some of the businesses I've admired for a long time, and with a few friends who haven't quite ventured into facebook businesses yet. All quilt tops that don't sell are donated to the Palmerston United Church Supply committee, where they are completed (if incomplete) and forwarded to areas where they are needed, such as women's shelters, drop in centers and Nuestros Pequenos Hermanos (a group of orphanages in central America). 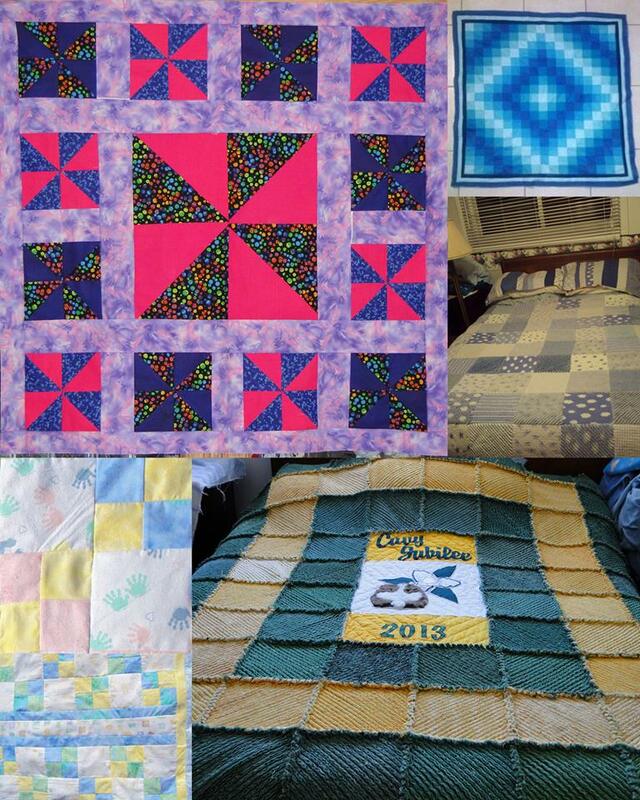 The primary reason for starting up The Pookie Patch was to help fund some of the quilts I make to donate. I wanted to support PANDA as depression affects more than just one person - it affects everyone surrounding them. 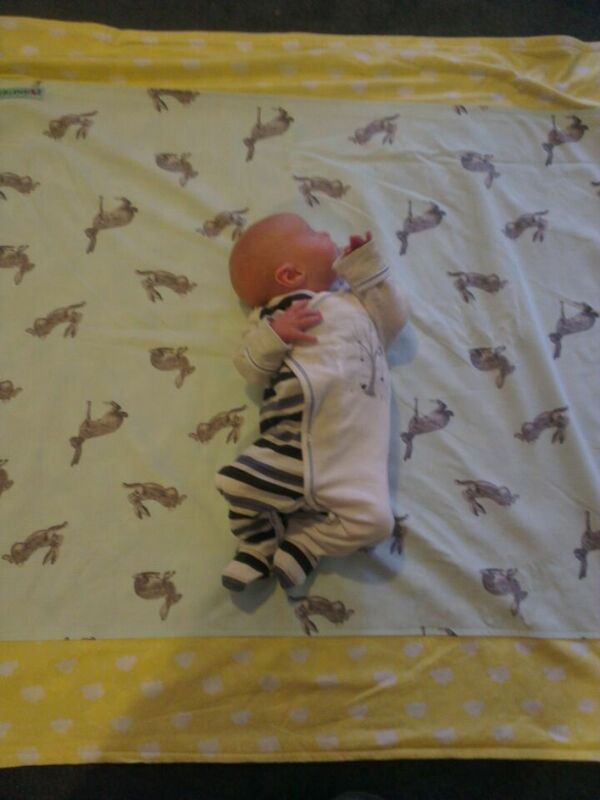 In the case of PND, it has a huge effect on not only the mum (or dad), but her baby as well. It's an area that is often misunderstood and that needs a lot more support. I suffered from PND after the birth of my son, and if it weren't for the support I received I know that both he and I would have suffered a great deal more. C4AC - Have you met Vicky? I thought it might be good to introduce the team of lovely ladies I'm collaborating with for C4AC (if you missed the last post explaining what C4AC is, it can be found here). I am a mum of three gorgeous kids (the loves of my life) two girls and a boy in-between! I'm from Canberra and have a regular day job, and yes, in the Public Service. This time last year I decided I needed a creative outlet, so I did a couple of sewing classes and some online tutorials and off I went! I found myself enter this 'other world', a world where fabric, patterns, embellishments and showcases are everything, and only others who have entered truly understand!! 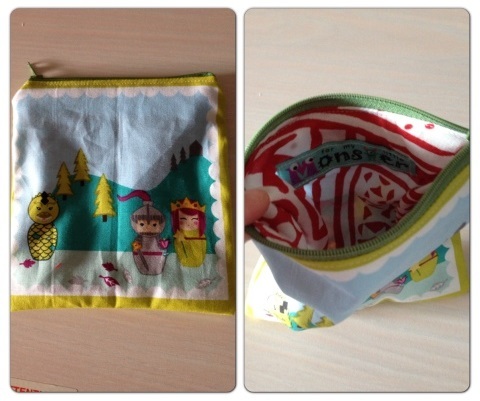 So now I enjoy making children's clothes, dolls, softies, and cushions. I love challenging myself to do new things, especially for showcases. I'm really enjoying the creative ride! I am supporting PANDA in C4AC. I think more research needs to be done about Post Natal Depression and being a mum myself, I really feel for the parents that suffer this illness at a time that is supposed to be their most happiest.